With power assisted bikes coming in at nearly every category, it was only a matter of time for the gravel e-bike to arrive. 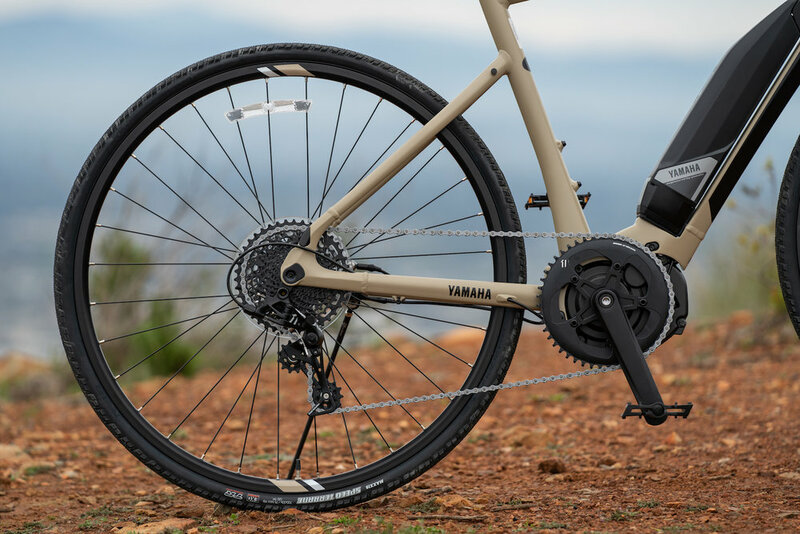 This week marks the launch of the Wabash from Yamaha Bicycles, their all new adventure e-bike from a brand that’s been in the power assist game since the 90s. And while we had some hesitation to cover this, the invitation to join a media event right in our backyard of San Marcos, CA was tough to pass up. 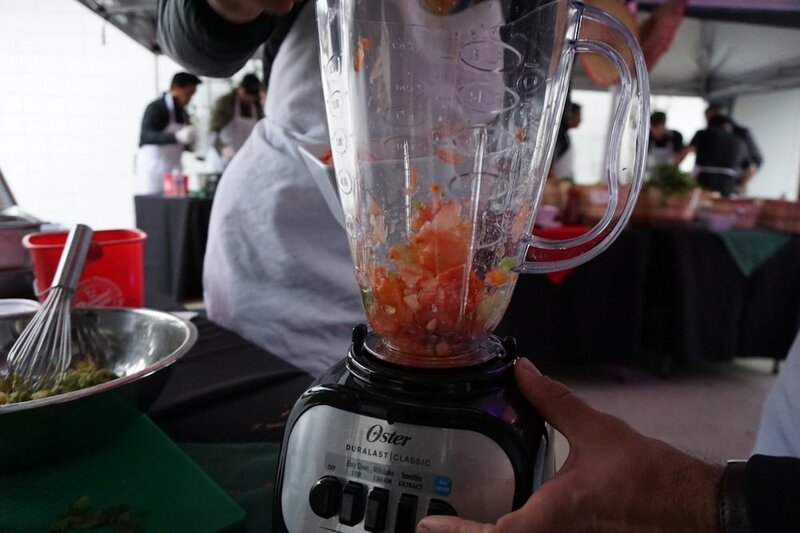 It all started the evening before with the ultimate salsa and guacamole challenge, and with Troy Templin on our team we were the team to beat! Unfortunately neither of our recipes prevailed against the other three teams, but it was a good warm up nonetheless for the rest of the evening and follow day. With the snacking out of the way we gathered for a sharp presentation by Drew Engelmann, Yamaha’s Power Assist Bicycle group sales and marketing manager. And while his salsa judging skills were questionable, we appreciated his careful attention to detail on what the Wabash was all about. A few key takeaways were that in testing the bike had a range of 33 to 78 miles, has a recommended tire clearance of 700x33mm tires, is available in one color (Latte), has one water bottle mount and weighs in at 42.3 lbs in a size L.
Now to our eyes these could certainly be seen as limitations, but in reality the Wabash (like all e-bikes) should really be viewed as a completely separate category. Someone shopping for a sub $4000 gravel bike probably isn’t considering the Wabash, just like someone shopping for an eBike probably isn’t considering a lightweight gravel adventure bike. With that in mind, we recruited Gravelstoke Development Team member Michael Macare to give the Wabash a test ride the next day on some of our local terrain. The Wabash could be described as a fun, versatile bike that can be ridden comfortably on pavement as well as off-road. Designed for gravel, the Wabash won’t be sending it off any rock jumps, but I had no problems rolling through rock gardens and singletrack with a smile during the entire ride! The motor was noticeably smooth and easy to control. And while available, I honestly found it unnecessary for much of the ride. Yes, the bike is heavier than a traditional bike due to the motor and battery, but it functions surprisingly well as a pedal bike without the power. While cruising around Lake San Marcos and heading to the trails I was able to turn the motor off and get an amazing workout. Once I hit some of the rolling hills I powered the motor to the medium setting just to have the comfort of being able to cruise. 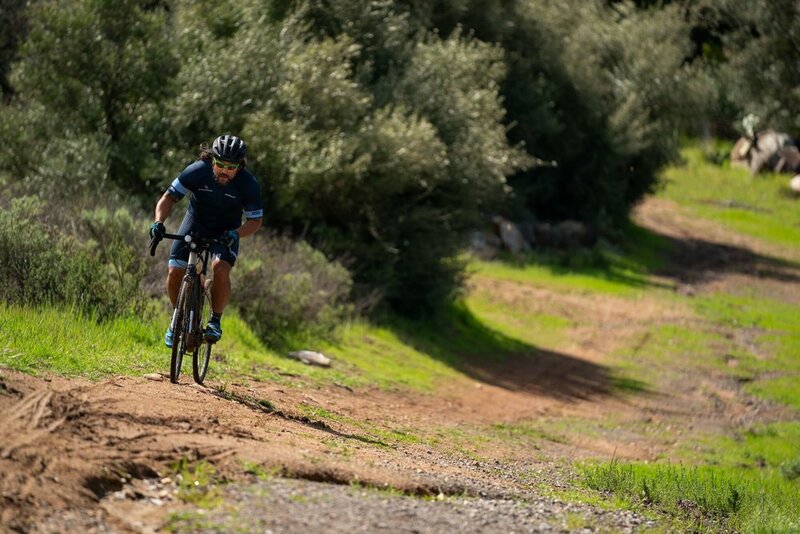 Where I saw the benefits of the motor most was on steeper climbs, where the extra power allowed for a smoother pedal stroke without taking over the handling or eliminating the need for fitness. The advantages were also realized in sandy or rocky sections where the motor provided just the right power to navigate tricky terrain. While the Wabash isn’t the next killer gravel bike, it can definitely be seen as a great training tool for longer endurance rides or races. The Wabash could also be seen as a great commuter or recreational bike as it feels smooth on the road but has some capability for adventure. As for the battery life, after 4 hours of riding most of us on the Wabash had used just half of our charge. The Yamaha Wabach has an MSRP of $3499, and is available in sizes Small, Medium and Large. All bikes come in the Latte color scheme.